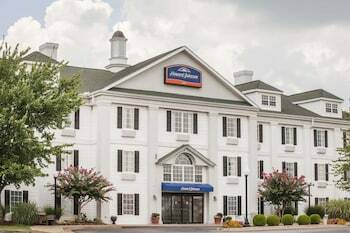 Located in Jackson, Howard Johnson by Wyndham Jackson is within a 10-minute drive of Casey Jones Village and Old Hickory Mall. Featured amenities include complimentary wired Internet access, a business center, and express check-in. Planning an event in Jackson? This hotel has facilities measuring 300 square feet (28 square meters), including a meeting room. Free self parking is available onsite.